J's Work is an interesting company producing a nice range of details and diorama accessories of use to a wide range of modelers. In this release, we have their first injection-molded plastic set containing many essentials for your next modern combat vehicle build. 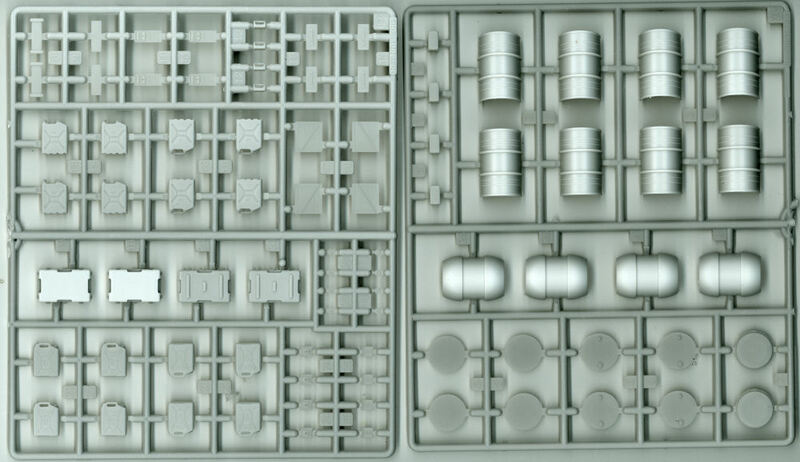 The set is molded in light gray styrene and presented on four parts trees, two of each of the sprues shown here (duplicate trees not shown). 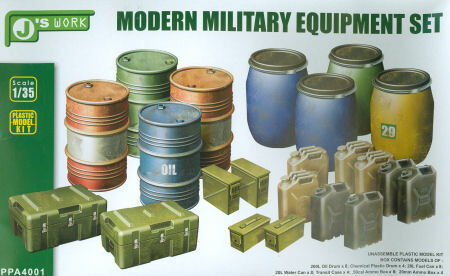 All you need to do is assemble and paint these items and you're ready to load them into or place them around your next modern US/NATO tank, AFV, or support vehicle project. You can obtain J's Work details and accessories from Lucky Model. My sincere thanks to J's Work for this review sample!